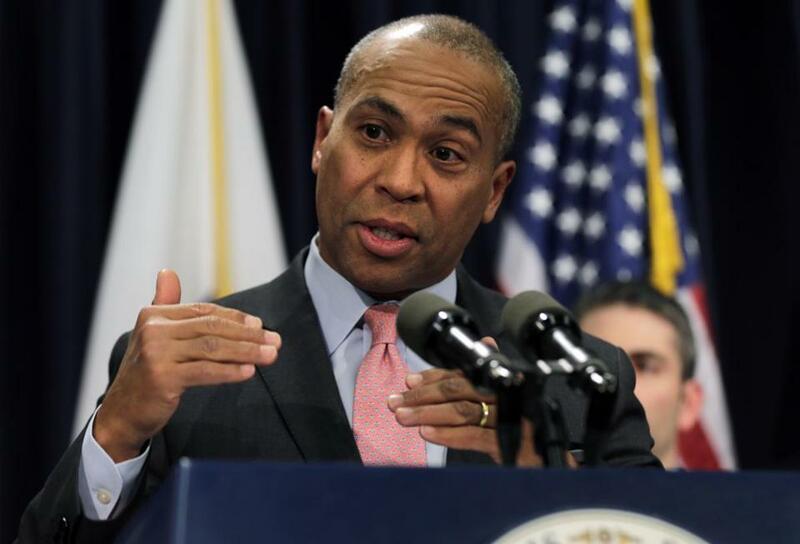 Noncompete agreements are “a barrier to innovation in Massachusetts,” said Governor Deval Patrick’s housing and economic development secretary. Governor Deval Patrick on Thursday will propose sweeping legislation to make it easier for workers in technology, life sciences, and other industries to move from job to job by banning the noncompete agreements companies use to prevent employees from jumping to rivals. The proposal is certain to inflame a battle within the state’s business community between larger, established corporations that say noncompete agreementsprevent former employees from spreading business secrets and venture capitalists who contend they stifle innovation and undermine the state’s reputation as a haven for startups. “We feel like noncompetes are a barrier to innovation in Massachusetts,” said Greg Bialecki, secretary of Housing and Economic Development. The administration's proposal is modeled after California’s, one of the few states to ban noncompete clauses in employment contracts. That state’s business regulations essentially declare the clauses in employment contracts void, and California courts have largely declined to enforce them in legal disputes. BetaBoston: Are noncompete agreements on the way out? In exchange for banning noncompete agreements, Patrick wants Massachusetts to adopt the Uniform Trade Secrets Act, which prevents workers from taking companies’ intellectual property to other businesses but leaves them free to join or launch competitors whenever they want. Some 46 states, including California, have adopted the Uniform Trade Secrets Act, as well as Washington, D.C.
Patrick’s position on noncompete agreements has evolved dramatically over his time in office. On several occasions earlier in his term, he said he recognized pros and cons. Then last year Bialecki told a legislative committee the governor had concluded noncompete agreements hurt the state’s economy. The issue has been raised before in the Legislature and gone nowhere. Now, with less than one year to go in office, Patrick is putting his name behind the controversial idea. Spokesmen for House Speaker Robert A. DeLeo and Senate President Therese Murray declined to comment. The noncompete clause is probably the most controversial element of legislation Patrick will unveil Thursday. He also is proposing new spending for programs to promote technology jobs and is pushing an unusual effort to retain foreign students who want to stay in Massachusetts after college or graduate school. Many can’t get a work visa through the main program, called H-1B, that the US government administers for foreign workers. The Patrick administration said it identified a provision of immigration law that grants temporary visas to participants in certain programs — hence an Entrepreneurship in Residence program, in which foreign graduates agree to work at local universities part time while developing business ventures. Still, Patrick’s visa proposal is not apt to generate anywhere near the battle on Beacon Hill that the proposed abolition of the noncompete clause will. Typically, noncompete pacts prohibit employees from signing on with another company in the same field, often for one or two years. They are widely used in many industries. And they have a long history in Massachusetts, said Andrew Botti, an employment lawyer for companies and former chairman of the Small Business Association of New England, which previously opposed bans on noncompete clauses. One of the state’s largest technology companies, EMC Corp., opposes Patrick’s plan. “The legitimate business interests of companies in Massachusetts are well served by the longstanding case law that allows covenants not to compete,” said Paul Dacier, EMC’s general counsel. The Hopkinton data-storage giant has vigorously enforced noncompete agreements. Patrick appears mindful of the concerns. His legislation would allow businesses to continue limiting certain activities by former employees, such as stealing clients; nondisclosure clauses, which prevent former employees from talking publicly about private matters, also would be unaffected. Bialecki emphasized Patrick wants only to stop the practice of large firms blocking workers from jumping to hot new startups or striking out on their own. The governor has been heavily lobbied by the startup community, young entrepreneurs, and their backers. “This is just about allowing people to have the freedom and flexibility to pursue the best opportunities,” said Jeff Bussgang of the venture firm Flybridge Capital Partners, who has spoken to Patrick directly. The big concern of venture capitalists and entrepreneurs is that such clauses hamstring Massachusetts in its competition with arch-rival California, the only state with a much larger high-tech economy. States that bar noncompete agreements attract more venture capital and generate more startups and patents, the researchers found. Interestingly, several business groups whose members are among the staunchest supporters of noncompete clauses said the issue no longer is so cut and dried. The Small Business Association of New England, for example, said companies could use clearer guidelines about what restrictions can be enforced, especially because defending noncompetes can be prohibitively expensive. Another factor is the debacle over the short-lived tax on computer-related software and services that Patrick tried to impose last year. Faced with a sudden backlash, an embarrassed Patrick and the Legislature swiftly repealed the tax and pledged to pay more attention to the startup community. Callum Borchers can be reached at callum.borchers@globe.com. Follow him on Twitter @callumborchers. Michael B. Farrell can be reached at michael.farrell@globe.com. Follow him @GlobeMBFarrell.